Lead-radium dating is a geochronological technique that is used to date recent geological formations, such as recently formed igneous rock and accretionary carbonates. 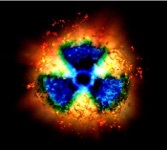 Use of this system as a chronometer relies on the decay of the relatively long-lived radioisotope radium-226 (226Ra) to the relatively short-lived granddaughter product lead-210 (210Pb). 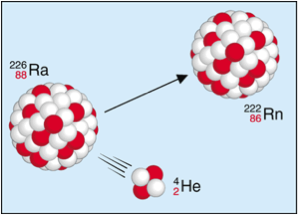 Because the half-life of radium-226 is much greater (1600 years) than lead-210 (22.26 years) the disequilibrium of the lead-radium system can function as a natural chronometer as the activity of lead-210 builds into secular equilibrium with radium-226. Once radium-226 is incorporated and isolated by some kind of structure (e.g. crystalline lattice), it is the ingrowth of lead-210 activity relative to radium-226 activity that provides a measure of time. In an ideal system there would be no exogenous source of lead-210 and the lead-radium ratio would increase purely from ingrowth. 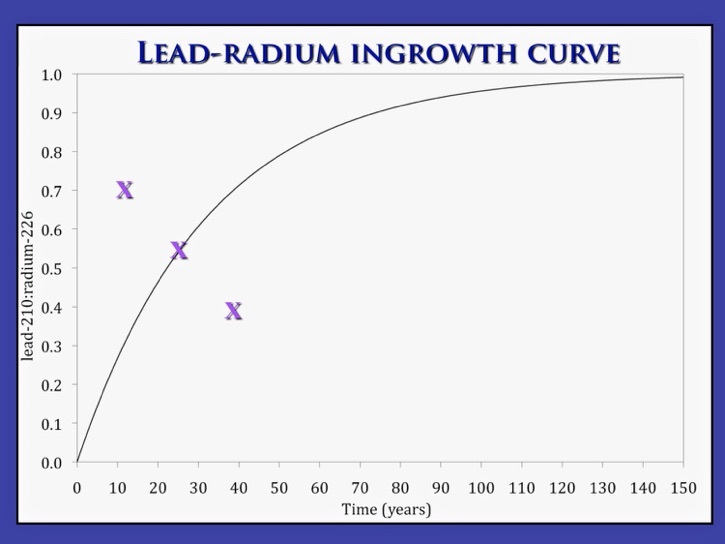 This ingrowth ratio would exponentially approach a ratio of one, at which time the rate of lead-210 decay would be equal to the rate of lead-210 ingrowth from radium-226 (See Lead-Radium Ingrowth Curve below). Note that age is determined by the measured ratio in relation to the plotted ingrowth function (curved line through the plot). The X’s plotted provide a demonstration of how the information from a measured lead-radium ratio can be used. For the X with a ratio near 0.7 at an estimated age of 10 years, the measurement is an indication that age was underestimated by about 20 years. For the X with a measured ratio near 0.4 at an estimated age of near 40 years, the measurement is an indication that age was over estimated by nearly 30 years. The X on the ingrowth curve provides a validation of the estimated age. In most cases, lead-radium dating is a useful tool in making independent age determinations that either validate or refute age estimates or age estimation procedures that provide very different ages (e.g. Pacific grenadier was either 6 or more that 60 years). The method can also provide measures of age when no other estimate was available (e.g. opakapaka maximum age was unknown) or it can be used to eliminate younger or older age scenarios (e.g. 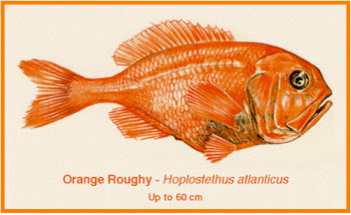 centenarian longevity for orange roughy). I am currently working with Dr. Ken Rubin at the University of Hawaii in the Isotope Laboratory of School of Ocean and Earth Sciences and Technology (SOEST) on refining the methodology. 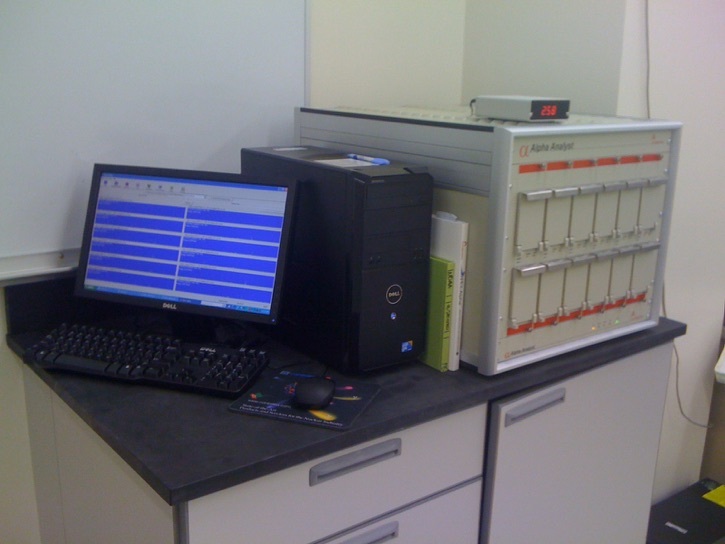 Below is the alpha-spectrometer used in the detection of polonium-210 as a proxy for lead-210 in lead-radium dating. This instrumentation is very sensitive and literally counts the decay of individual atoms over time; the detection of radioactivity. We are working to reduce the margin of error in the determination of fish age using lead-radium dating.